Whether you're hosting a party for the first time or you're a seasoned host, the duties of a hostess are still very important. 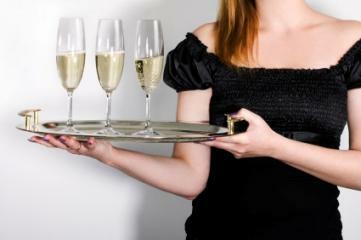 Before you can understand the duties of a hostess, you need to be clear on the definition of the term. In some cases, a hostess is actually the person who gives the party. For some occasions, however, the organization hosting the party may hire a professional hostess. Regardless of what role the hostess plays, it is imperative that she understands her duties, and those duties will directly relate to the type of party she hostesses. For example, an elegant affair, including a sit-down meal, may mean that guests are seated at specific tables in designated seats that are strategically placed based on the guest list. A good hostess will have reviewed the seating arrangements ahead of time and be able to efficiently lead guests to their seats in plenty of time before the meal will be served. On the other hand, the hostess of a cookout doesn't have to worry about seating, but she does have to make sure everyone has access to food, drinks, utensils, etc. Preliminary planning - A competent hostess will play a role in the planning of the party, and in some cases she may handle everything involved, including choosing the date, location, menu, and of course invitees. She should also make a list of what needs to be done in advance and what should be left until the day of the party, including last minute food preparation and arrangement of furniture. A good hostess also knows when to call in reinforcements and how to choose people who will do what's needed, whether they're professional caterers or simply friends who offer to lend a hand. Set the scene - A hostess needs to arrive at the party location quite early to ensure that everything is in place and ready to go. She should bring her list with her (and check it twice), so as not to forget anything in the confusion of the pre-party set up. At some point, she'll need to slip off to dress and touch up her hair and makeup if necessary, but she should only do so when everything else is ready to go. Meet, greet, and mingle - A hostess must work the room during the entire party. This means meeting the guests as they come through the door, introducing herself to each guest and then facilitating introductions to other guests, and moving throughout the room, paying particular attention to those guests who aren't acquainted with many of the other attendees. She should also briefly inform guests of the location of drinks, hors d'oeuvres, bathroom, etc. Supervise food and drinks - Even if caterers are working the party, the hostess needs to always keep one eye on the table to ensure that food and beverages are plentiful. She may need to remind servers to replenish trays, add garnishes, refresh condiments, and so on. Facilitate games and activities - Sometimes party guests are a bit hesitant to join in the fun and games, and this is where a hostess can get the party started. She may have to put guests into groups, assign pairs, and explain the rules or instructions to the games or activities. Once the activities are underway, the hostess should keep the action going as much as possible. Wrap up the night - At the end of the night, a hostess should stand at the door, thank each guest individually for attending, and wish everyone a safe trip home. Once all the guests have departed, she should supervise (and even help with) the cleanup. Finally, an efficient hostess will perform all of the above duties with elegant grace, treating each guest (even the most obnoxious) with politeness and consideration and ensuring that everyone is taken care of throughout the night.